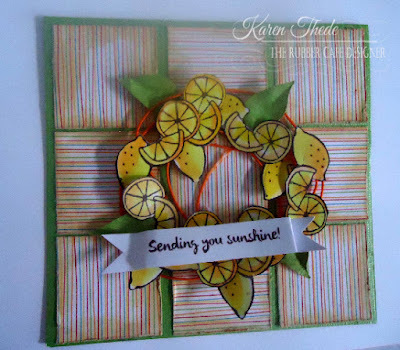 It's the weekend again - and I'm back to share another card using our latest kit from the Creative Cafe's- Too Much Sun! 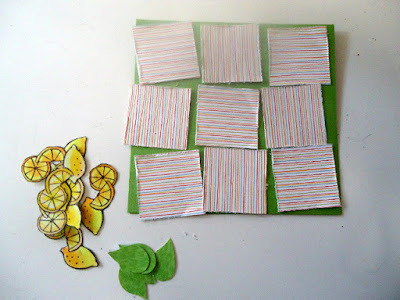 Today I decided to make a wreathe out of the lemons! You know what they say when life gives you lemons... well I made a wreathe instead of lemonade. To get started - I created a square card base cut at 4 1/2" square. 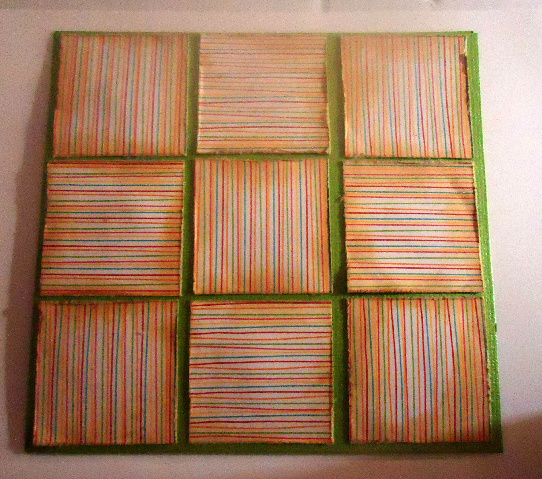 I then cut nine 1 1/2" squares from the multi stripe paper. I turned them so that every other one was going the opposite way of each other. Here are all my parts below - and my squares laid out. I also stamped and fussy cut out 6 lemon clusters. I colored these with my copic markers. I also punched out 4 - 5 leaves. 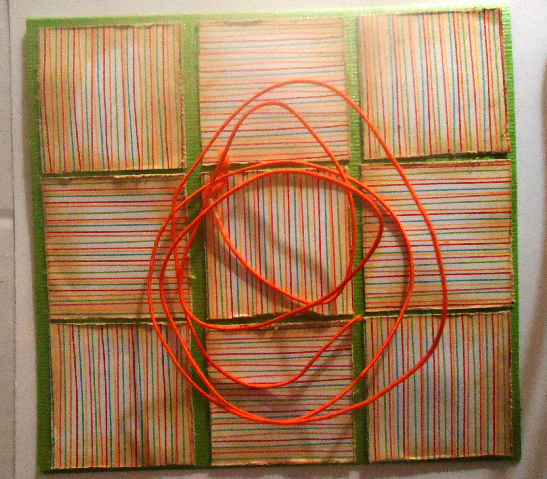 I used the orange wire cord in the kit and loosely wrapped it in a few rounds - using again my Scrap Happy glue I adhered it down. I used some painter tape to hold in place until my glue had dried. To finish I laid my cluster lemons in a round wreathe shape working in my leaves as I went. 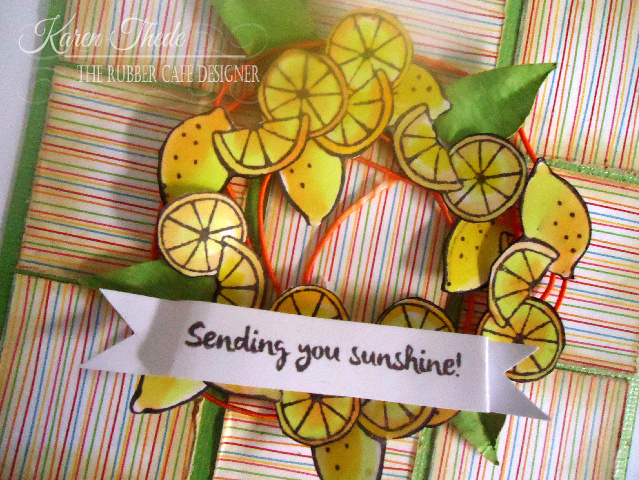 I used pop-up dots to adhere it to my card front - and a stamped phrase from the set 'Sending you Sunshine' tops it all off! Here's a close-up - thanks for stopping by, I hope you're being inspired this month to take time out of all the summer time fun to stamp and create some cards of your own!